Here’s how: What the Cardinals were getting was much more than “a rookie manager.” They were getting an individual of real substance. Cards general manager John Mozeliak knew that, even if many other people didn’t. What followed with Matheny at the helm have been three straight appearances in the National League Championship Series, two NL Central Division championships and one appearance in the World Series. That looks a lot like success. 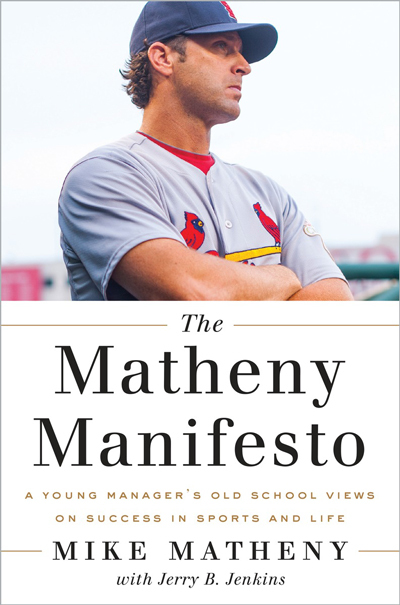 If you have any questions at all about what Matheny is all about, apart from being a success as a big league manager, the answers are contained in Matheny’s book, “The Matheny Manifesto: A Young Manager’s Old-School Views on Success in Sports and Life” written with Jerry B. Jenkins. Tony Oliva is undergoing a sort of post-career revival. Back in December, the Veterans Committee came one vote shy of electing him to the Hall of Fame. Now comes Tony Oliva: The Life and Times of a Minnesota Twins Legend by Thom Henninger. The timing is both coincidental and fortuitous, and there’s another parallel between and present and past at work here. With the normalization of diplomatic relations between the United States and Cuba, which was preceded by the instant impact of stars like Yasiel Puig and Jose Abreu, the subject of Cuban players in the Major Leagues is back in the headlines.